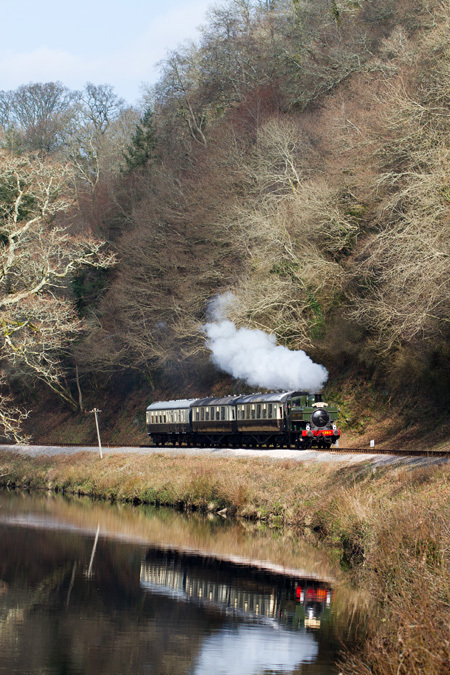 The South Devon Railway was chartered to provide a birthday special train for 90 year old Jeanifer. Both she and her family are reported to have had a great day out. For more information on our charter trains click here. The picture above remains the © of the photographer as stated and further images from John can be found at www.steamrailwayphotos.co.uk. This was taken on 26th February 2012. Please note this photographer holds SDR lineside permit and PTS certificate.